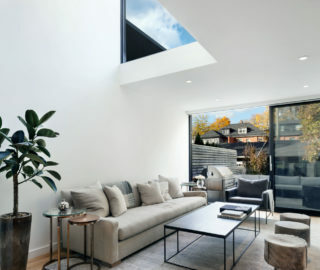 With Toronto’s stock of detached homes in short supply, laneway houses are an enticing alternative to condo living – and thanks to recent changes in city zoning laws, building one is now within reach of many more homeowners. 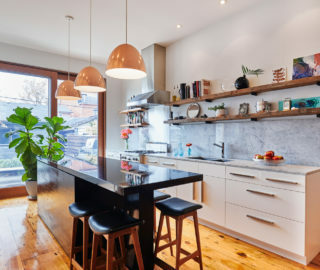 Your laneway dream house, however, comes with its own unique set of challenges, and requires copious planning, imaginative design and a lot of patience. 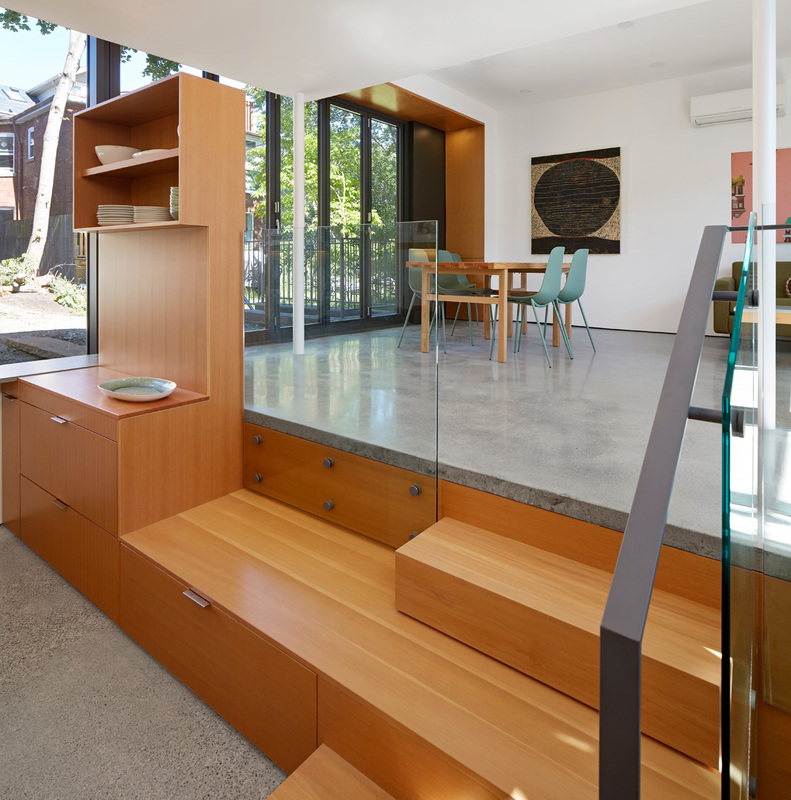 In the case of this modern 135-square-metre home in Harbord Village, currently used as a medium-term rental, the results were worth the effort. 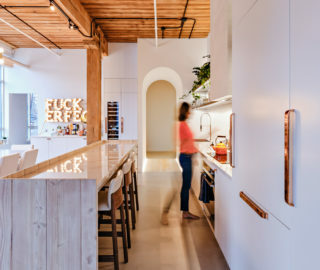 A collaboration between ZZ Contracting’s Zeke Kaplan, who is also the property owner, and Brock James of LGA Architectural Partners, this project began with a crumbling, 100-year-old house set directly against the property’s back lane. 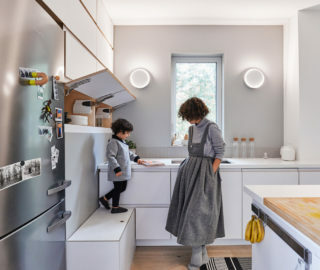 Working within the existing two-storey envelope and utilizing 50 per cent of the existing structure allowed LGA (along with Moses Structural Engineers) to build without seeking zoning variances – a potentially difficult and time-consuming process. A deep Douglas fir surround in the living room frames the bi-fold front entrance door by Bigfoot. 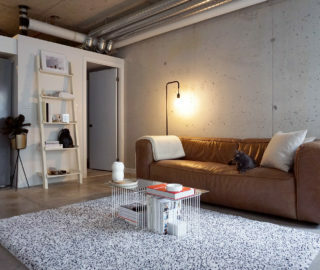 Radiant-heated polished cement floors run throughout. 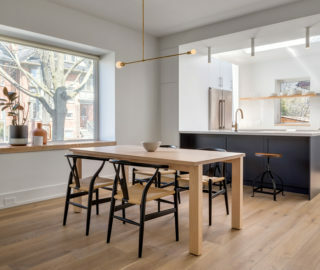 Kent Aggus of Built Work designed the Douglas fir kitchen, including the middle stair that extends across to a room-dividing unit, and acts as a bench containing storage. 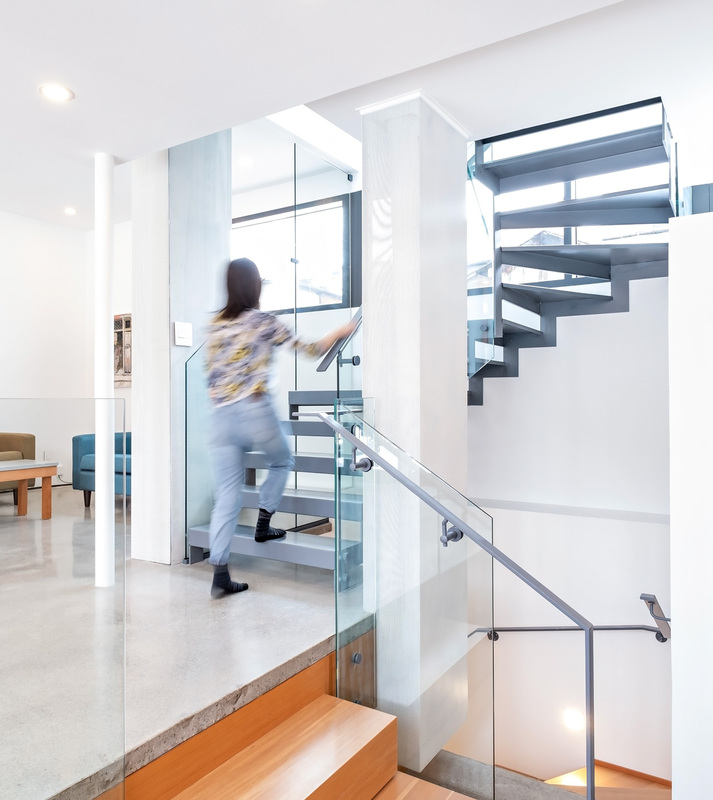 The metal stair (by Uni-Tech Metal Works) that connects the first and second floors was soldered on site. Perforated magnetic steel panels on the columns conceal services. In the upstairs bathroom: operable skylight by Velux, glass tiles from Olympia, solid Bianco Namibia marble from Counter Culture and shower fixtures from Roman Bath Centre. 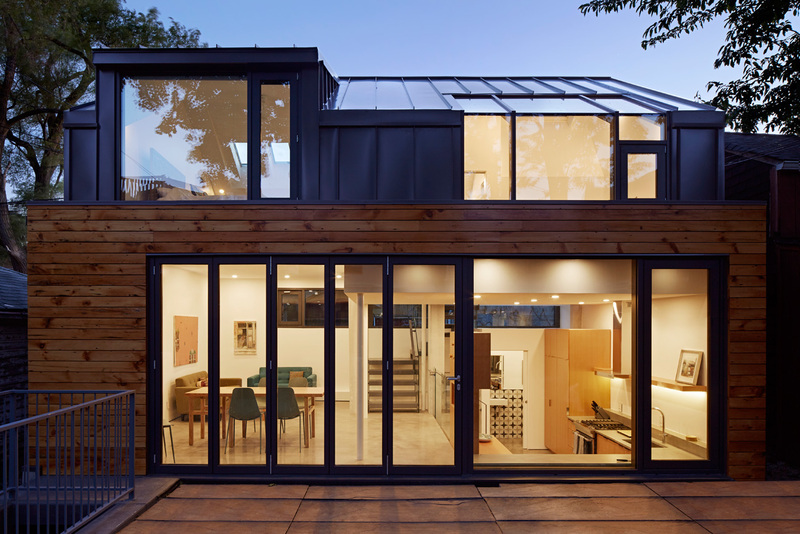 Further maximizing the livable area, the home’s glass front accordions open, turning the lush, landscaped yard into an extension of the living room. 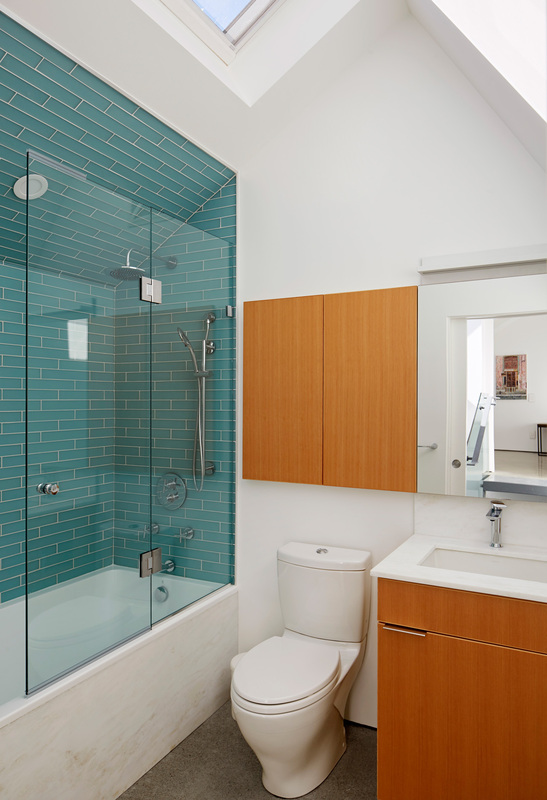 Upstairs, the master bedroom similarly opens onto a small green roof planted with lavender. 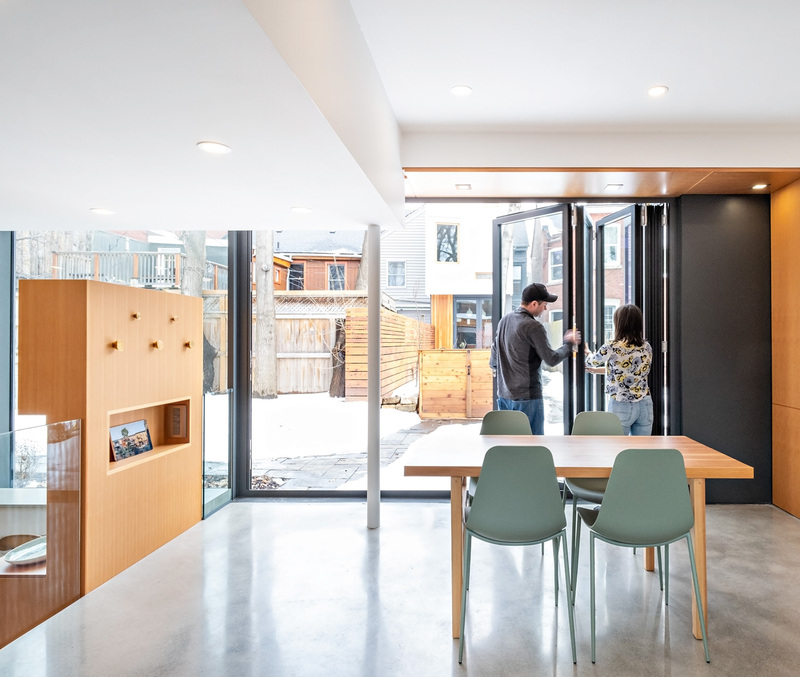 Rather than trying to hide the laneway, lane-facing clerestory on the main floor is positioned above head height, ensuring privacy while allowing for light, air-flow and a perfectly framed view of the patinated garages nearby. 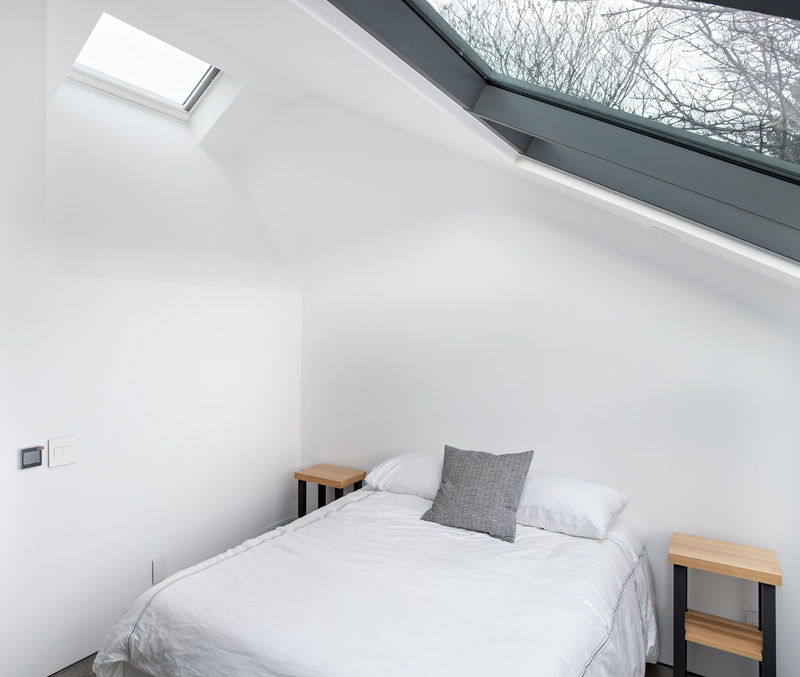 In the northeast-facing guest bedroom, the window glass is mitred to allow for full views of the neighbourhood. Bed from Ikea. 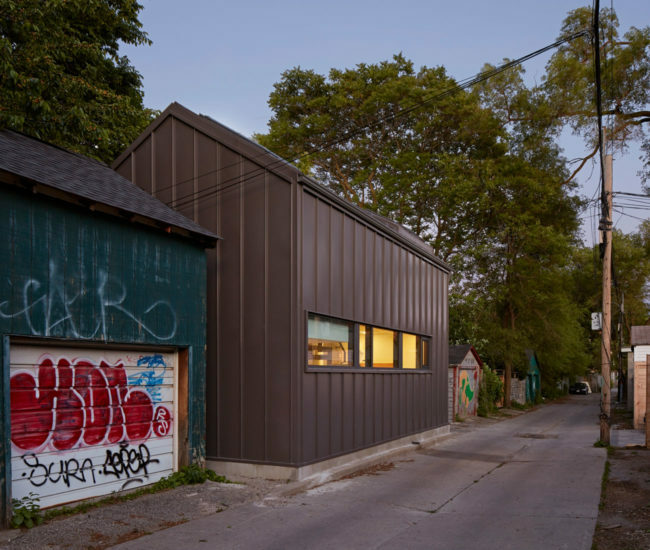 The front of the laneway house, facing onto the shared property, is clad with restored Douglas fir barnboard salvaged from the original structure. Below the dormers, the roof is planted with lavender. None of this complex process is obvious from the finished product, which sits clad in a grey, seamed metal. It’s the only one of its kind on this laneway but, judging from the interest both Kaplan and LGA have received from this project so far, that may not be the case for long. 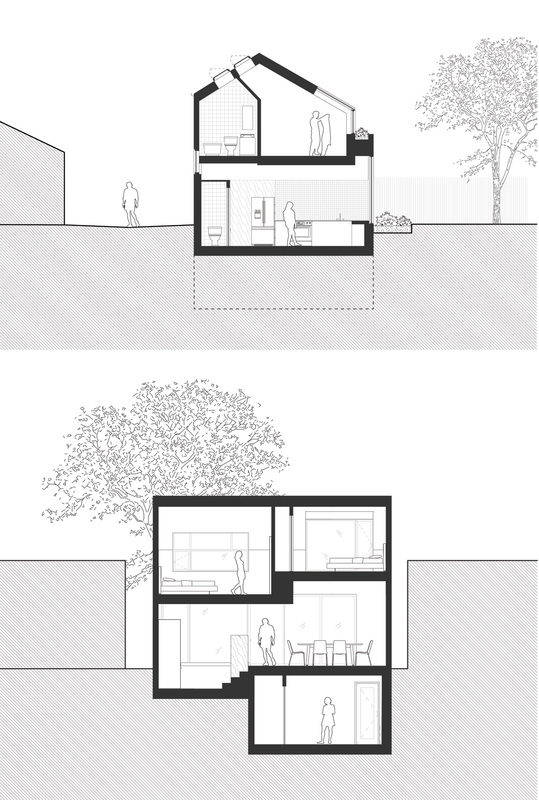 Section drawings show a) from the south, the house’s relationship with the laneway to the west and property to the east, and b) the split-level design, where floors are lifted or lowered for maximum ceiling height. Originally published in our Small Spaces 2019 issue as Street Smarts.